Professor Berthold Rzany is a dermatologist and epidemiologist in private practice in Berlin, Germany.In 2002 he was appointed as C3-Professor of Evidence Based Medicine in Dermatology at the Charité-Universitätsmedizin, Berlin, where he became the head of The Division of Evidence Based Medicine (dEBM). He left this position in December 2011 to go into private practice (RZANY & HUND, www.kudamm183.de) but continues to teach at the Charité-Universitätsmedizin. Prior to taking up this chair, he was consultant dermatologist at the Medical School Mannheim, University of Heidelberg, Germany. He earned a Master of Science (Sc.M.) in Clinical Epidemiology at Johns Hopkins University, Baltimore and is the author of several well recognised books and many publications in aesthetic medicine. 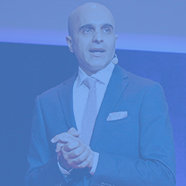 His current interests include the development of evidence based guidelines and setting up controlled clinical trials for the interventions of Aesthetic Medicine. 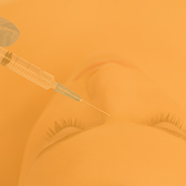 The main thrust of his research is in aesthetic medicine, particularly botulinum toxin type A and injectable fillers. He has a strong bias against devices / interventions without a good evidence base. The rare side effects – How to manage? Can art make you a better injector? Treatment of focal hyperhidrosis: why following a stepwise approach is best!